Generation now - get with it! makes life easier for tuckshops, parents, and students. EASY FOR PARENTS Say goodbye to stressful school mornings, searching for brown paper bags and loose change. 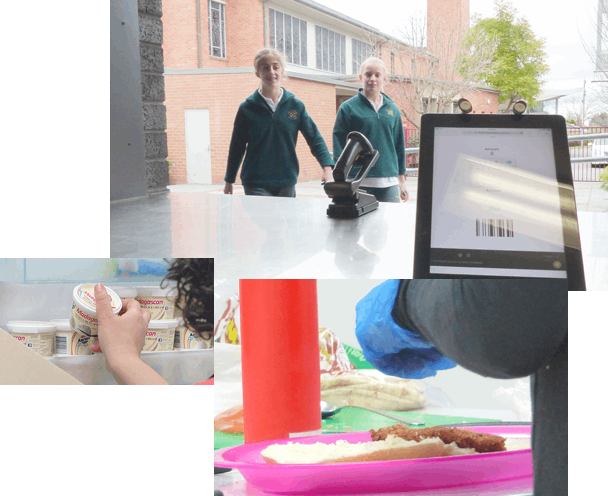 My School Tuckshop is an easy to use online lunch system, designed with parents in mind. SEAMLESS FOR SCHOOLS Getting your school set up with My School Tuckshop is simple. We do all the hard work for you, including setting up your account, loading menus and providing information for parents! WE'RE 100% FREE FOR SCHOOLS! assistance to schools and parents. for fundraising and healthy lifestyles! ages using your existing tuckshop menu! energy they need to get through the school day! FUNDRAISE WITH MY SCHOOL TUCKSHOP! Lots of small donations can go a long way! chip in when they can! their order to nearest dollar! with the My School Tuckshop system. at the end of each day! parents have set for their children. to worry about handing cash in the tuckshop!